MKV files are usually high quality videos compressed within a Mastroska container format. Typically you’ll encounter these with Bluray rips or video exported from an HD stream, and you might have discovered they won’t open in a standard movie player app. Not to worry though, MKV files can be played on a Mac easily, you just need to download a free application or codec that supports playing the high quality video format. We’ll cover five excellent free MKV video players that will work on the Mac, some are just general movie player apps and some are full-fledged media center applications that will do far more than just playing HD video formats. Ultimately which is the best is up for debate, but since they’re all free there is no reason not to try them all and discovering which is the best for your specific needs. The first recommendation is VLC, which will play just about any video or audio file thrown at it and MKV is no exception. VLC 2 recently came out with some pretty significant changes, and even if you don’t plan on using it to play .mkv movies, it’s a worthwhile app to have on any Mac. Some users report performance issues with playing MKV from VLC, but I’ve had no such problems. Perian is a third party Quick Time component that adds support for a huge variety of video formats (including MKV) to Apple’s very own QuickTime Player. It’s easy to install and sits as a preference panel, and once it’s installed there is nothing extra required to use, just open the once unsupported videos in QuickTime Player. Perian is quite good, but some users encounter strange issues with OS X Lion and OS X Mountain Lion, so this may not be the best solution until Perian gets updated with full support for the latest versions of Mac OS X. Which is the best? That’s up for debate. For general versatility, VLC is a must-have app for all computer users, MplayerX is really giving it a run for it’s money, but for overall media center functionality XBMC is great. Try out a few and see which fits your needs. Enjoy your movies! I wholeheartedly agree, MPlayerX is very good. It’s free, easy to update, works with Lion. Hard to beat. ** You can *not* update from the Mac store**, he got tired of arguing with Apple to let every feature out of the sandbox needed every release like (use the net to get subtitles), etc, etc… find info on the real homepage. I’ve used all these – mplayerx is hands down the fastest, especially for mkv. Yes, Movist is a very nice player and should have been on the list of five players or more. Right, Movist is the best! The one issue I’ve noticed with Perian which is frustrating is that for many MKV’s, it will say it requires QuickTime 7 to open properly. This may be the issue which the author mentions as requiring “full support”; regardless, it’s pretty annoying. I used to use VLC to watch MKVs, but lately I’ve taken to re-encoding them into m4v format using HandBrake, which allows me to watch them on my AppleTV, and copy them onto my iphone or ipad for on-the-go watching. I’ve been using MPlayerX (Free) for the last few months. I used to swear by VLC but over the years it’s caused me too much grief and with the recent GUI changes it’s just become a bloated mess. Sounds cool, can you elaborate on how you get it to work? Most MKVs are x264 codec and so the only difference between that and a M4V is the container. The video simply needs to be demuxed and remuxed into an M4V. Just install the app, drag your MKV to it, add desired metadata and when you go to save it will repackage your MKV in an M4V container. Easy. In the Preferences you can also set it to reencode the audio to 5.1 AAC so if you have an MKV with a dts or dolby digital track, it will reencode that for you. Can Subler re-encode hi-profile/10-bit video down to standard 8-bit? I don’t have my AppleTV 3rd gen yet, but I’m going to assume it won’t display 10-bit video :( This would be another issue, as that functionality is something which Handbrake now includes. SplayerX is the best IMO.. If you do care about subtitles (color, size, outline, shadows, position) I recomend “Movist” available on App Store. ^ best player out there that renders styled soft-subtitles without coughing up. As a long time Plex user, i find the comments about Plex being confusing to use troubling, especially in the context of this article. The 10 foot interface for Plex is exactly the same a XBMC, and the separate Media Server app makes adding media easier as you don’t need to plough through layers of 10 ft interface to manage your media. It’s the first comment of its kind i’ve heard – I’d love to see a review of the new Plex. Movist certainly should be on a list, but with Lion and VLC2, again VLC is #1. I have now problems with Movist. I had performance issue with VLC (the audio channel wasn’t line in with the movie) and then I’ve started to use Divx Player that is a good alternative. Huge MOVIST fan! It plays everything, it has neat extra features, and it prioritizes video playback while other tasks are going on, so that video playback is rarely interrupted. Perian is simply useless on OSX Lion. This OS is more than 6 months old and the developers don’t care about making Perioan work on it. I’m not even talking about Snow Lion support… Too bad, it used to be an interesting product, but it’s dead now. MPlayer OSX Extended and XMBC are my favourites. Plex’ GUI is very bad and I removed it 5 minutes after installing it. Quicktime with Perian is higher quality than MPlayerX. MPlayerX is higher quality than VLC. VLC is still excellent quality and good to have when the other two won’t play something. Has anyone had a play with Nice player? The interface is a nightmare, but if you compare the playback quality to VLC or MPlayerX it’s incredibly sharp and the colours are much more realistic – Not over saturated and “fake”. Appreciate your recent post. Could advise if it will playback the dts HD and True Hd audio formats? I am in process of backing up my blu ray collection. Total Video Player is also very good. I love it because it is a video player for mac subtitles. It can load the subtitle contained in MKV files automatically. You shouldn’t recommend MPlayerX. It’s garbage. Full-screen doesn’t even work (it just gets stuck a white screen that doesn’t go away until you quite). MplayerX is great for MKV videos. For some reason QuickTime plays HD MP4 videos in very low quality if they are encoded to H264. I do need to warn users that it does install MacKeeper without the user knowing. I chose the advance install option which allows me to select what is installed. All I saw was options to install Google Chrome and make Yahoo the default homepage for Chrome. After install is where I suspect the MacKeeper gets installed. It says the Application needs to be updated to run smoothly on Sierra. Ran that update and my fan on my iMac has been running while playing a video. I launched Activity Monitor and saw MacKeeper running in the background. Did an advanced search for all the files associated with MacKeeper and removed it. After all that hassle MPlayerX just works better than VLC on a Mac IMHO. VLC for Mac still doesn’t feel like it’s built for the Mac software. It still feels like a Windows Application that happens to run on a Mac. With VLC not interested in updating their Application for the Mac it is time for us Mac users to look elsewhere until something else comes along. I sure hope something does. The market is huge for a good video player that actually works on the Mac. I’d pay for it if there was one out there. 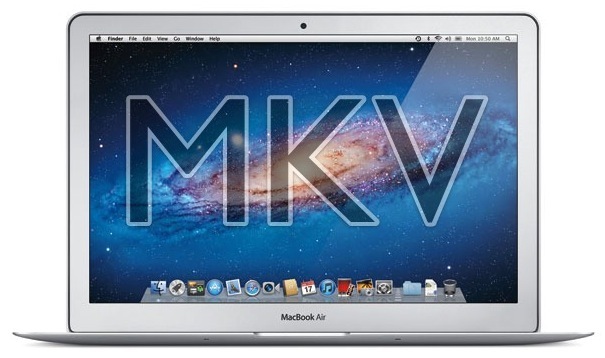 You may already have an MKV player on your Mac…. if you have Chrome installed. Just drag / drop the MKV into Chrome. Works great for me as a full screen type player.